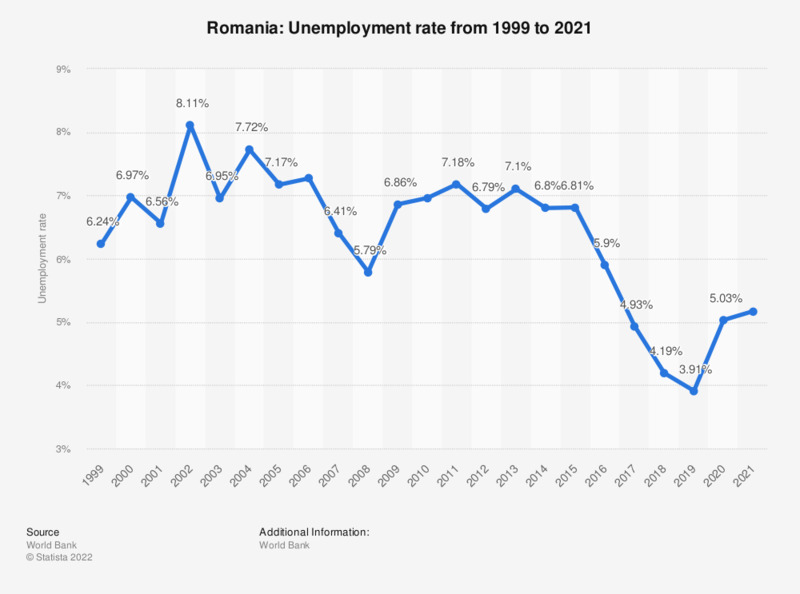 This statistic shows the unemployment rate in Romania from 2007 to 2017. In 2017, the unemployment rate in Romania was at approximately 4.93 percent. All figures are modeled ILO estimates. Everything On "Economic Outlook Romania" in One Document: Edited and Divided into Handy Chapters. Including Detailed References. Statistics on "Economic Outlook Romania"